Dress for the office, not your date. Choosing Valentine’s Day outfit for office hours can be tricky especially if you have planned to celebrate the day after work. Red or pink colors and hearts prints may look too cheesy for the office attire, but you would like to wear an outfit that easily transitions from the office to the Valentine’s Day celebration.Here is how you can wear the same outfit from office to evening date. Pick an outfit in light shades of red instead of classy red and pink. 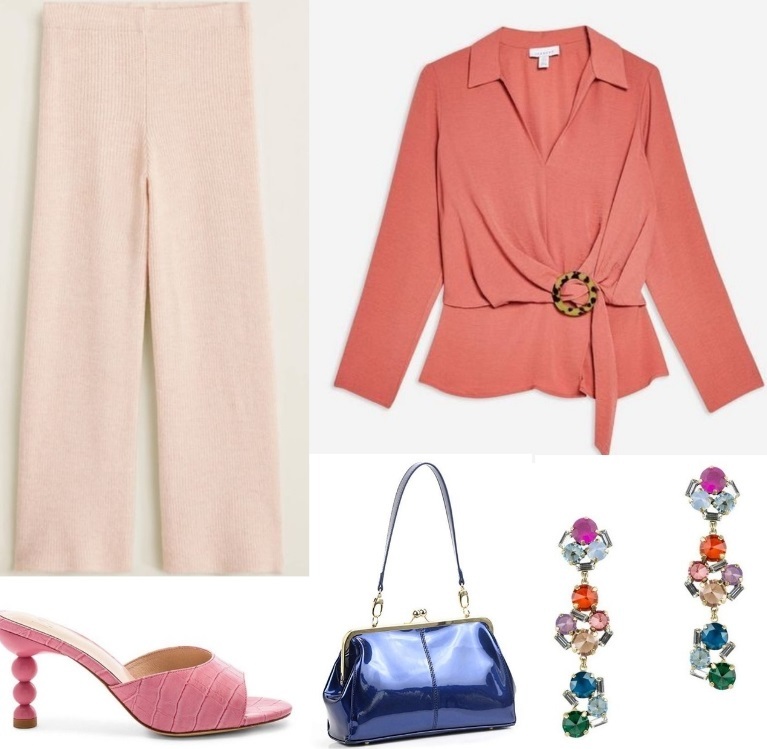 Pale pink flare pants with a collar buckle top in soft coral color paired with white boots and gold accessories create the perfect outfit for the office. Swap the white boots with crocodile – effect pink high heels for an elegant and luxurious touch for evening. Complete your look with dangly chandelier earrings for that perfect statement piece and a shiny evening clutch to add glamour to your special night.